In order to make your visit to AHHAA as pleasant as possible, there are some rules that we ask the groups, their leaders/guides, and travel agencies to follow. Science Centre AHHAA thanks you for your understanding and cooperation. There are two kinds of group discount. Only one applies at time! 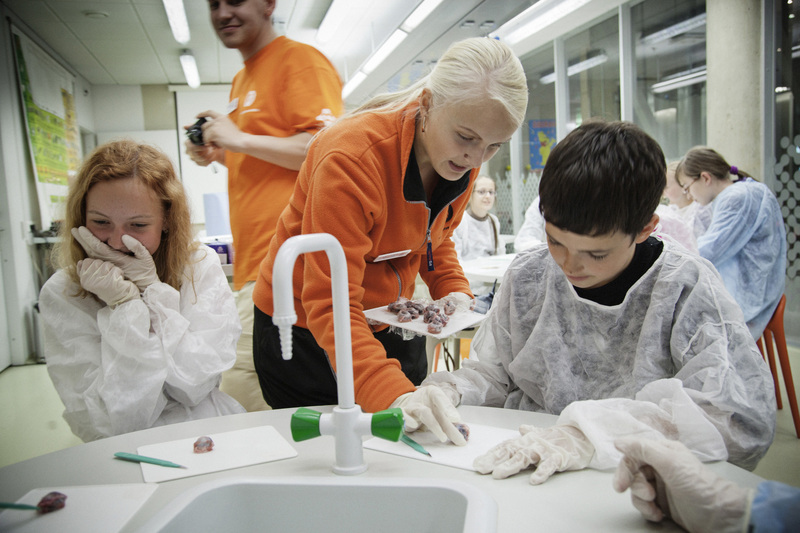 Discount for school groups: admission to centre is free for one teacher for every 10 students. NB! The second discount applies to school groups only. The maximum number of parents per school group is 5. In case there are more than 5 parents in a school group, this group will be considered a tourist group and a tourist group discount will apply. Free admission rule applies to science centre tickets only - group leaders and teachers must still pay for their visit to planetarium or a previously booked workshop. The leader of the group (e.g. a guide or a teacher) buys the tickets for the whole group. The leader must come to the ticket desk alone, while the group waits at the coatroom. At the ticket desk, the leader must give the exact number of people in group (including preschoolers). If this number differs from the one given on booking, the guide must pay for the extra people. The guide must pay for the whole group at once. Ticket money must be collected from the group before arrival. If there are families among group members, who wish to buy family tickets instead of group tickets, they are allowed to do so. However, families without group tickets will not be allowed in the workshops and/or planetarium shows booked by this group. The group leader will hand out tickets to his or her group and make sure that everyone gets a ticket and that other visitors wouldn't join the group. If the number of tickets does not match the number of people, the leader must pay for additional tickets. Intoxicated (drunk) people will not be allowed in the centre. When in doubt, the staff of AHHAA has a right to refuse the admittance. Tickets won't be refunded. At the ticket desk, the leader must give the exact number of group members in a workshop or planetarium show. If the number is different than that agreed upon booking, the leader must pay for additional tickets. When a group has booked multiple planetarium shows and workshops and people need to be divided into smaller groups, it must be done before arrival. By the time the group leader comes to the ticket desk to pay for the group, he/she must already know the number of people in certain workshops or planetarium shows and tell the ticket desk about the exact numbers as well.. The number of people allowed in a planetarium show will be marked on the ticket. Additional people will not be allowed in the planetarium and the planetarist has a right to refuse admittance to them. The group leader is not allowed to change the number marked on the ticket. All changes must be approved by the ticket desk. The leader must make sure that the group is in time for their workshop or planetarium show, and that the number of participants is correct. When a group member is late for his or her workshop/show, they cannot join another one. The leader will be held responsible if the group members are late, or when other guests join the group. The person who books the visit must inform the group that planetarium tickets will not be refunded to those who are late for the show. This information must be given at the time of booking. 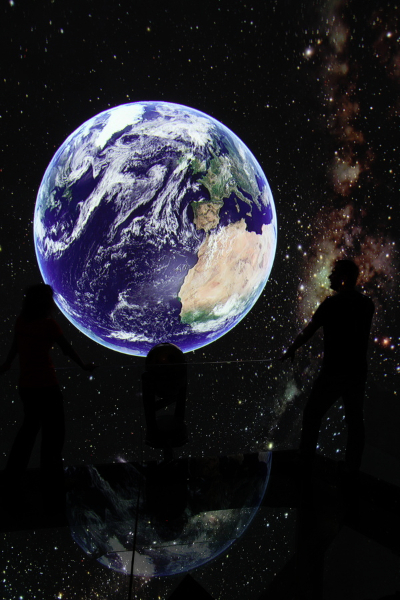 The person who books the visit must also inform the group that children under 5 years will not be allowed in the planetarium (unless the whole group agrees with it). When the child disturbs the other guests in planetarium, the group leader will be held responsible. If you wish to change or cancel your booking, you must inform us on this at least 7 days before the visit. 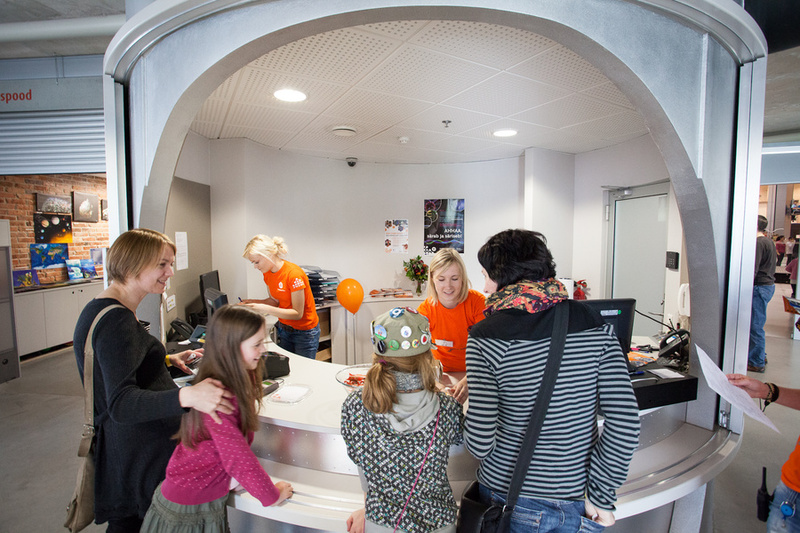 To change or cancel your booking, please contact us on tellimus@ahhaa.ee or +372 745 6789.